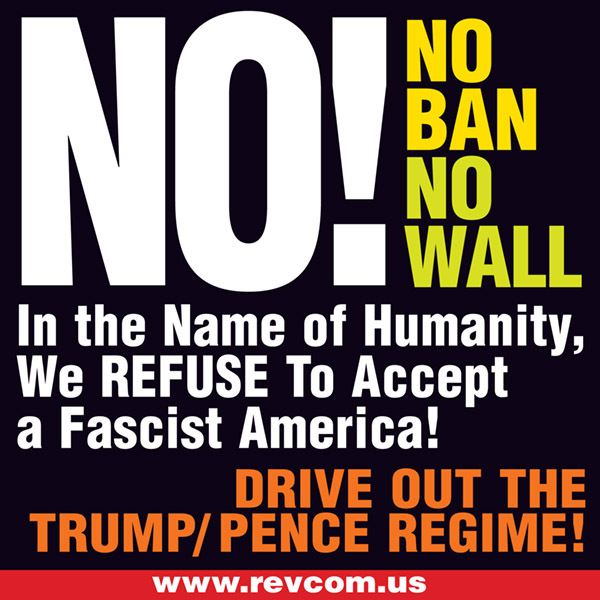 Even as the Trump/Pence regime contests the temporary injunctions against their Muslim travel ban in court, and even as Trump declares “We’re going to win,” the regime is implementing policies that have already placed severe restrictions on travel to the U.S. And not just by people in the six Muslim-majority countries targeted in Muslim Ban 2.0, but most of the world. In so-doing, they have quietly implemented much if not all of their Muslim travel ban. Exempt from this “extreme vetting” are 38 countries. Almost all of these are in Europe, plus a few others including South Korea, Australia, New Zealand, and Japan (for some time, short-term visitors to the U.S. from those 38 countries have been exempt from applying for visas at U.S. embassies, while everyone else is required to do that before visiting the U.S.). Included in the new policies: the rest of the world, including all of Africa and the Middle East, and almost all of Latin America and Asia. People singled out for this scrutiny are to be questioned about not only their travel history, but all their addresses for 15 years; and all phone numbers, email addresses, and social media handles they have used in the past five years. Greg Siskind, an immigration lawyer, told the Washington Post that physicians, university professors, and researchers will face delays or denials if they are from “certain countries, or religions.” [note: religions] And Siskind told the Washington Post that he thinks part of the investigation people will be subjected to is aimed at building databases of connections between people based on their Facebook friends and Twitter followers.